Every macroeconomic indicator on debt sustainability for the country has been breached. The country’s debt, officially standing at US$15.94 billion as at end of June 2018 represents a Debt to GDP ratio of 61% (based on 2017 GDP of US$25.81 billion). The Africa convergence criteria under COMESA member states stipulates that Debt-GDP ratio shall not exceed 40% (excluding grants). The standard threshold for budget deficit is set at 3%, whilst Zambia has been tethering with a budget deficit of between 7-9% in the last three years with current estimates just below 7%. Government applies the World Bank Debt Sustainability measure of Debt-GDP ratio of 56%, and basing this on the projected 2018 GDP of 4.2% would place the country’s Debt to GDP ratio at 57.7%. Zambia’s debt comprises US$9.37 billion external debt, kwacha equivalent of USD5.18billion in domestic debt and what is unconventional accounting, being referred to as domestic arrears of the kwacha equivalent of US$1.39 billion. The debt crisis the country faces stems from the composition of its external debt, of which US$3 billion is commercial debt (Eurobonds) that will mature in three tranches starting 2022 (US$750million), 2024 (US$1billion) and 2027 (US$1.25billion). This represents the single largest challenge to the country’s debt sustainability going into the next medium term up to 2021 (3 years). The dollar debt would require an annual sinking fund deposit of US$300 million to cushion the risk of default until 2027, whilst the country continues to carry interest payments of around US$300 million annually for the next four (4) years reducing to US$225 million in 2023 and 2024. In the last three year period of 2025, 2026 and 2027 of Eurobond to maturity, the interest payments will gravitate around US$125million, US$83million and US$42million respectively. The balance of the external debt of US$6.37 billion consists of both bilateral and multilateral debt which carries relatively low interest rates averaging around 2-3%. What is evident is that the country is currently making external debt servicing for this portion of the debt amounting to US$285 million annually. The maturity period of these loans is also relatively longer extending up to 20-25 years. Key to our bilateral loans is the component of Chinese loans, estimated to be around US$3 billion (accounting for over 30%) of the US$6.37 billion debt. However, two key concerns with the Chinese debt are classification as it includes project funding, commercial private debt and export supplier credit, secondly the lack of transparency around the contraction terms and conditions associated with the loans. This component of Chinese debt, is also unquantified and could be more than US$6 billion based on the number of projects already being funded by the Chinese. The country’s domestic debt, stands at the kwacha equivalent of US$5.18 billion representing the most expensive component of the portfolio as interest charges are between 16-19% reflecting an annual liability on interest alone averaging just over US$920 million. The amount however, could be less depending on the maturity of the domestic bonds and treasury bills. This amount reflects the amounts of treasury bills and bonds outstanding. Arrears represents the amount that remains unpaid for provision of services, goods both in expendable and capital expenses, essentially supplier credit, which has also contributed to the high levels of non-performing loans with commercial banks. The current industry NPL level is 12.7% versus a 10% prudential limit attributed to domestic arrears. The burden of interest charge on this component of debt is being carried by the suppliers or contractors of the services and goods so provided to government. However, in order to dismantle this debt, even over a five-year period government will have to liquidate it at an average rate of the kwacha equivalent US$278 million annually. This component of obligation is the greatest threat to macroeconomic growth. This number grew by a US$1 million from December levels to date. The country is proposing and considering two options to deal with the impeding debt crisis. First, the state endeavors to set up a ‘sinking fund’ to buffer bond coupon and principal repayments. This is as narrow a solution as government could put together. A sinking fund set up now, will require a minimum of US$375 million annually just to cover the principle on the Eurobonds. Government has indicated that they have deposited an initial US$20 million which on the face of it is doomed to be a failure from two angles. First, in that we will never be able to build adequate wealth fund reserves and secondly, that there is no guarantee the deposited funds will still be available due to the absence of a legal framework to secure the fund. The initial sinking fund should have been operational in 2015, for which US$50 million was tentatively implied to have been put aside for this purpose. Dejavus, we have come a full circle. The second option revolves around the government refinancing the Eurobonds. Re-financing of dollar debt carries with it two very clear implications. The first being irrespective of how you structure the refinancing, be it through a bilateral partner with concessional rates, a bond buy-back or re-issuance of the bond for longer maturity period it ultimately is a more expensive option. Suffice to say the loan period will not only be extended but the debt position will swell. This option will not address the risk of default but merely postpones the burden. The third lesser more evident solution has been the self-imposed austerity measures that included the suspension of all subsidies on fuel and electricity on the general masses whilst the country’s executive wings gave up their fuel, airtime and business class travel privileges. Further to this, government is to have suspended all capital projects that have not commenced, focusing on those that are at least 80% complete. This has been a fallacy as on the contrary new capital projects are being announced on a regular basis. All the options fail to outline a defined repayment structure, the quantum of debt reduction or indeed a time line as to when we intend to achieve any form of debt reduction. The country in the last two years has trooped in and out of Washington seeking a US$1.3 billion IMF bailout package with little success. Failure of this venture is basic and premised on two cardinal issues. The first has been the rate at which Zambia’s debt has been growing, with little regard to all the debt-risk indicators and overlooking the many warnings from both the World Bank and a horde of local economists/organizations as to the unsustainability of the debt. The second aspect has been accountability, the country has failed to account for how US$2.2billion of the Eurobonds was expended. The assumption that this was spent as part of the budget holds no credibility as the funds were meant to support infrastructure development and its accountability would have been absolute. All the debt sustainability macro indicators have been breached, the decision of the IMF has been easy to take. 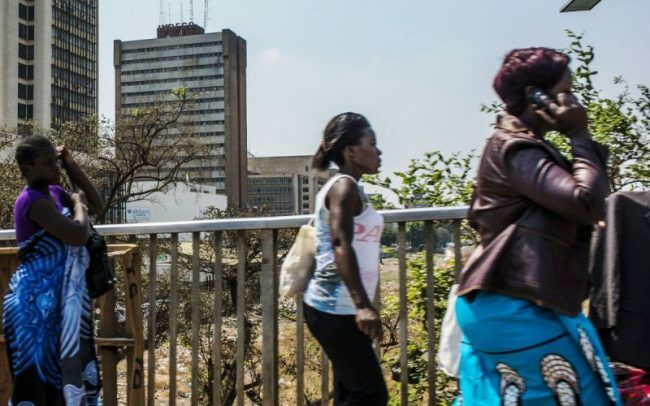 Zambia will be required to maintain a debt service of at least US$2.26 billion annually for the next twenty years to be anywhere near liquidating the country’s current indebtedness. This represents close to 32.4% of the total annual national budget. The country has already exceeded the US$585 million in annual debt service and this figure will rise with the Chinese loans that had 4-5-year moratorium (grace periods). The country’s foreign exchange earnings, 70% of which are still generated by the mines, who earn north of US$5 billion, only contribute 6% (US$300 million) to the country’s treasury in taxes and royalties. The true burden of debt servicing is being carried by the ordinary Zambian with income that is not generated from the country’s mineral wealth. The synopsis of how the country’s debt has escalated from US$1.2billion in 2008 after the HIPC debt forgiveness to US$16billion in 10 years is obvious to the naked eye. The under-current to this debt accumulation has been the evident lack of accountability, abuse of office bordering on corruption and over-payment of shoddy contracts, but more detrimental has been the obvious lack of national interest by government officials to safeguard national resources in pursuit of greedy and personal gains. The litmus test to measure government’s commitment to tackling our debt crisis will reflect in the upcoming budget for 2019 to see to what extent the budget will bear reductions in expenditure. The article was authored by Trevor Hambayi, (MSc), a Financial Analyst and PhD Research Fellow.